Glowing skin is the tell tale sign of a healthy women. 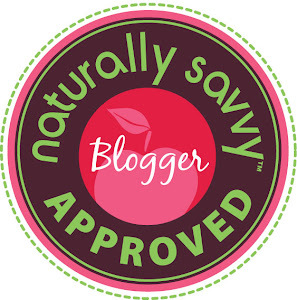 While pregnant with my four kids my skin was soft and smooth! Fast forward six years and now I'm longing for those days past. Much to my chagrin, my skin now is dry and my skin tone is uneven due to a medical issue. My body produces an abundance of hormones that has taken a toll on my skin. I've searched far and wide and have come up empty handed, until I discovered Elizabeth Grant's Vitamin C Face Peel! Normally before bed I wash my face to cleanse and refresh my skin. I added an extra step to my nightly routine to include Elizabeth Grant's Vitamin C Face Peel taking special care to make small circular patterns over my face and neck to slough off all the the dead skin cells. The face peel is light in consistency and utilizes invigorating Vitamin C, and soothing Torricelumn™! The face peel has a slight fragrance but I wouldn't consider the smell overwhelming. I loved to feel the little granules in the face peel work their magic as I massaged my skin. I use the face peel every other day to keep my skin fresh and silky smooth. The key to healthy skin is to encourage new skin cell growth. The face peel helps you accomplish that without striping your skin of moisture. Now that the texture of my skin is improving due to the Vitamin C Face Peel, I am happy to have my glow back! 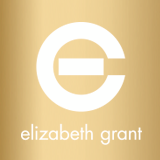 Elizabeth Grant Vitamin C Face Peel is available for purchase on the Elizabeth Grant website for $29.99! 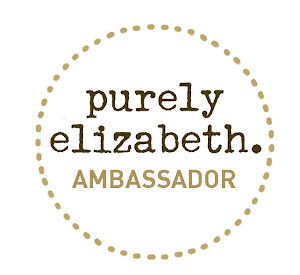 Elizabeth Grant is generous to offer one reader a chance to win a full size Vitamin C Face Peel to create their own beauty routine! Give the rafflecopter a few seconds to load. Follow the easy methods to submit your entries! Good Luck! I received an Elizabeth Grant product to facilitate this review. All opinions are purely my own. yes, I often do but not every day! No, I try to do a nightly regime but so often I'm too tired. Regimen! I was a little tongue tied there! hahaha! I apply lotion with retinol. Before bed I cleanse my face and apply a night time moisturizer. I entered Go Green for 2013 with GreenDeals.org ! $50 Gift Card Giveaway . i do and it includes my clarisonic mia! love it! I use tea tree oil cleanser and then a light moisturizer before bed. Yes I do, I wash my face in the shower every night before bed. Actually I do not use cleanser on my face, just water in the shower. Always! I use a makeup removing cloth before the gym, and when I get home I wash it and put on moisturizer! I just use a cleanser and some hylanuronic acid or vegetable glycerin. I use a cleansing face wipe to take my makeup off, then I use an anti-aging face lotion! I use mary kay timewise bar, then toner, then moisturizer. I wash my face in the shower then apply cream. I wash my wash every night and use moisturizer most nights. Sometimes I forget. Just washing and putting moisturizer on. I use the same routine morning and night..just the products that I use for moisturizing differ. Show Your Love This Valentine's Day with Shutterfly ~ Giveaway!